Datum Dental, Ltd, leading provider of OSSIX® brand innovative solutions for bone and tissue regeneration for dentistry, proudly announces major regulatory clearances for OSSIX™ Bone with CE Mark in Europe and Health Canada approval. 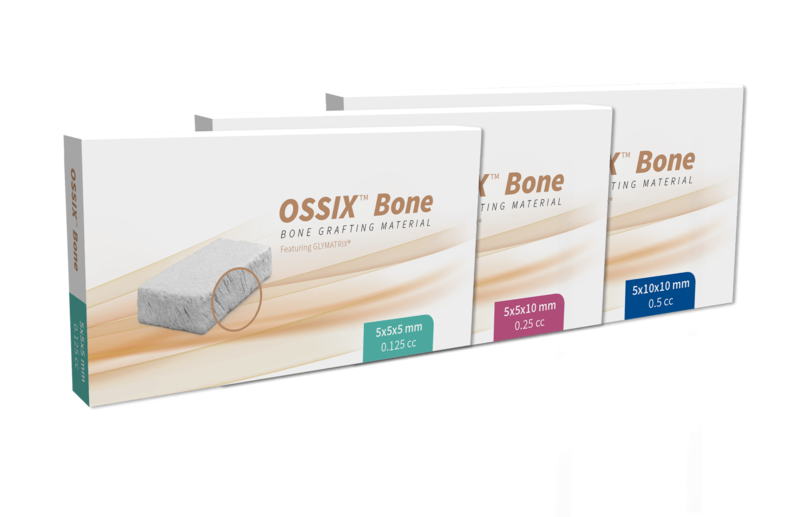 Powered by the company’s patented clinically proven GLYMATRIX® core technology, OSSIX Bone received FDA clearance in July 2017 and was launched commercially during 3Q2017 in the USA. Dr. Bach Le, DDS, MD, FICD, FACD, Clinical Associate Professor, Department of Oral & Maxillofacial Surgery at the USC School of Dentistry, integrated the product in his surgical practice and emphasized that “OSSIX Bone demonstrates good healing and bone formation.” A published author and lecturer on dental implants and bone regeneration, Dr. Le has been using OSSIX solutions such as legacy OSSIX Plus in his clinical practice and educational endeavors for over a decade. More on the dental bone graft substitute market in Europe can be found in a series of reports published by iData Research entitled the Europe Market Report Suite for Dental Bone Graft Substitutes and Other Biomaterials. The suite covers reports on the following markets: dental bone graft substitutes, dental growth factors and dental barrier membranes. The iData report series on dental bone graft substitutes covers the U.S., Latin America (Argentina, Brazil, Mexico) and 15 countries in Europe including Germany, France, the United Kingdom (U.K.), Italy, Spain, Benelux (Belgium, Netherlands and Luxemburg), Scandinavia (Finland, Denmark, Sweden and Norway), Portugal, Austria and Switzerland. Reports provide a comprehensive analysis including units sold, market value, forecasts, as well as detailed competitive market shares and analysis of major players’ success strategies in each market and segment. To find out more about dental bone graft substitutes market data, register online or email us at [email protected] for a Europe Market Report Suite for Dental Bone Graft Substitutes and Other Biomaterials brochure and synopsis.